Master Chief Petty Officer John-117 AKA the Green Devil! This is for you the Late Night/Early Birds/Future Warriors! Hello fellow TAYers! Welcome to this late second edition of TAY: Open Forum, otherwise known as the Graveyard Shift! where you get a second chance to load up, get on that warhog, and take the fight to the Covenant! 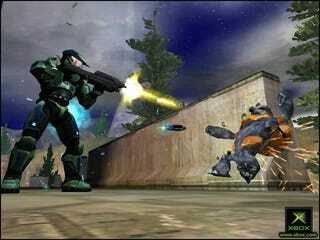 Well for starters, the Halo franchise, and the Chief have been around since the Xbox( the first one). We seen him take on Hunters all by himself, battle waves of grunts, taken on Elites on with his bare hands, done delivery runs, and fall to a planet like a boss. So at one point or another we have take his role once more, to take on the Covenant, and delay the destruction of humanity. But when was the first time you met the Chief? We have a Community TAYlendar! TuTorial for any one who want to post anything. A Hat in Time is just a bit shy of it final goal. The Graveyard shift is not responsible for your late night procrastination, job loss, and failing grades. Don't forget TAY for the TAY:Open Forum. Or TAYClassic for the old type of writting. Also check our Contayct-list. Just Read TuT post for more info.